This Indonesian coffee is one of the world's premier coffees, mild and soft with a distinctively sweet aftertaste. Our Toraja coffee is grown on Mr. Boedijono's plantation in the Rante Karua mountains of south Sulawesi. This gentleman travelled all the way from Indonesia to Atlanta to offer our proprietor his Sulawesi Toraja coffee. We invite you to share our good fortune and try this rare treat. Celebes Kalossi Toraja coffee, from the Rante Karua Plantation, is one of the more exotically named coffees we carry. This coffee is from Indonesia, one of the first countries cultivated with coffee by the Europeans and currently the fourth largest producer of coffee in the world. The name alone of our Celebes Kalossi coffee allows a little armchair travel, preferably while sipping some of this region’s fine coffee. So where does the name come from? Celebes is the former European name, as bestowed by the Portuguese, of the island of Sulawesi. Sulawesi itself means "island of iron", for the iron ore production in Lake Matano. The island itself is oddly shaped, reminiscent perhaps of a four-year-old’s attempt at drawing an elephant. 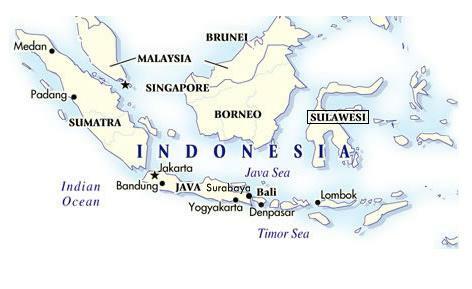 While the earliest traces on man on Sulawesi date back 30,000 years, though some believe that the islands formed part of the land bridge to Australia and that Sulawesi may have been inhabited by Homo sapiens earlier. Westerners, more specifically Portuguese sailors, landed on the island in 1525. The Dutch arrived in 1605 and within a few years managed to control most of the trade from the island, though it was not fully colonized by the Dutch until 1905. The first coffee was grown in Indonesia in the 17th century, and the first coffee in Sulawesi was planted in 1750. Most Sulawesi coffee, also known as Celebes coffee, is grown on small farms. The mountainous region of Tana Toraja is the primary region for growing Sulawesi coffee beans. Rante Karua is a volcanic mountain range located in the northern part of South Sulawesi, near West Sulawesi, which is basically near the top of the left leg of the island. Toraja, meaning “people of the upland”, refers to the indigenous people that live in the mountains in and around Rante Karua. 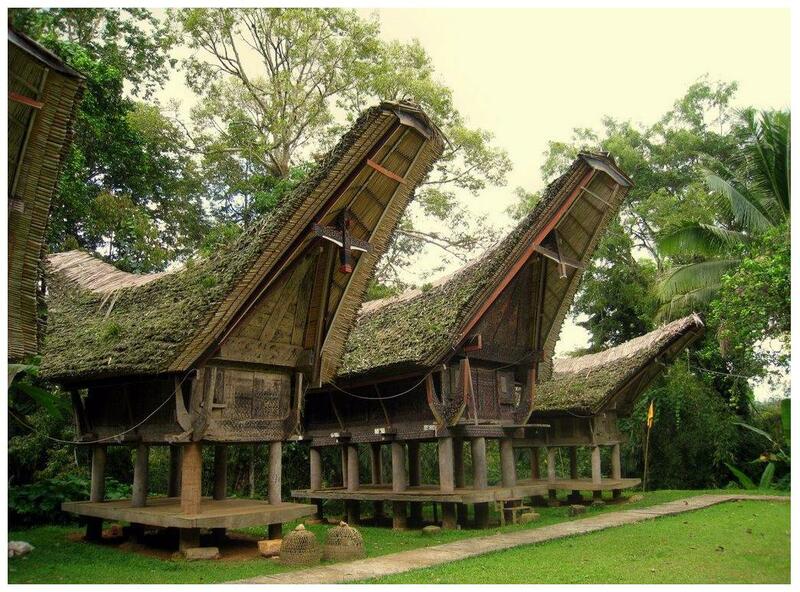 The Toraja people are known for the unusual houses pictured here called tongkonan. Previously, only nobles were allowed to construct these homes which are distinguished by their saddle-like roofs which curve into tight upward peaks at each end. These people are also known for their elaborate funeral rites, traditions which they have carried over into their practice of Christianity. 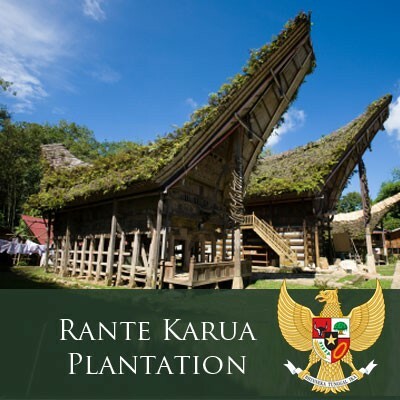 Our Indonesian coffee, Celebes Kalossi Toraja from the Rante Karua Plantation, is one of our most difficult estate coffees to pronounce, so we will provide here the proper pronunciation for your convenience. The approximate pronunciation for our Toraja coffee is as follows: SE-le-bees Ka-LOW-see Toe-RA-ja, RAN-tay Ka-RU-a. If you do not remember this, please do not worry; we know which coffee you are talking about.